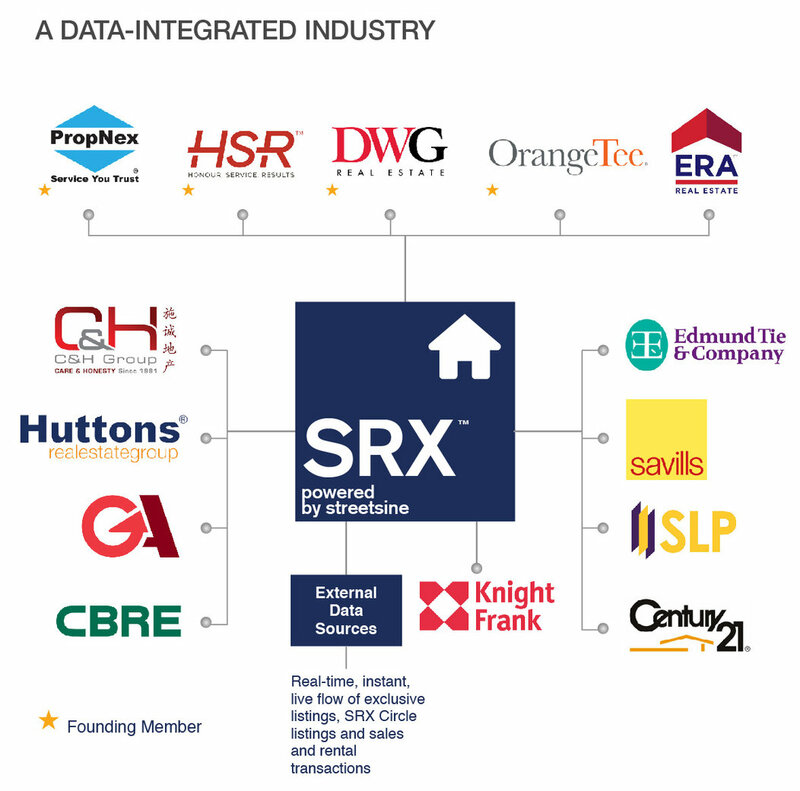 Professional property agents participate on SRX by entering electronic gateways linking SRX to its Member Companies. These gateways ensure integrity of information, adherence to SRX performance standards, and best practices. Click on the logos below to learn more about SRX Member Companies. StreetSine Technology Group, a subsidiary of Singapore Press Holdings (SPH), is the leader in digital property in Singapore, offering one-stop real estate services including residential and commercial Quality Listings on SRX.com.sg, full valuations from SRX.com.sg/valuations, and mortgage financing in collaboration with my desired bank on SRX.com.sg/mortgage. X-Value is a computer-generated market estimate of nearly every property unit in Singapore. It is the result of a 12-month project co-funded by the Singapore Government through the Infocomm Development Authority of Singapore (IDA). The project involved leading estate agencies, academic institutions, government agencies, peer review by certified appraisers, and StreetSine Technology Group, the technology provider for this project. StreetSine Technology Group is an innovative software company that integrates big data sets with mobile workflow applications to help real estate-related ogranizations and professionals employ real-time, relevant, proprietary information in the marketing of their products and services. Among other services, StreetSine manages and operates the Singapore Real Estate Exchange (SRX™) and Hong Kong Real Estate Exchange (HRX™). Each exchange is a digital platform that provides the property market with computer-generated pricing (i.e., X-Value™ and Home Report™), listing services, lead generation, and integrated applications for property-related professionals (i.e., agents, bankers, and lawyers) to provide their services to buyers, sellers, landlords, and tenants.